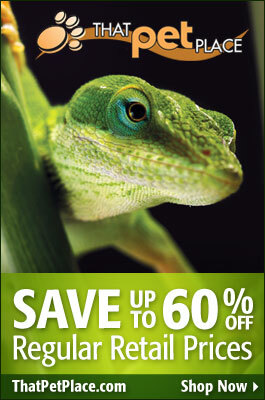 We amphibian enthusiasts are a lucky bunch. The world is populated by 6,389 frog and toad species, and new ones are discovered regularly. Among them we find frogs that have sheathed claws, lack lungs and defend their young from lions, along with toads that breed in salt marshes and bear live young. Some tadpoles feed upon their fathers’ skins, while others munch bark from tree branches…and that’s the mere tip of the iceberg! 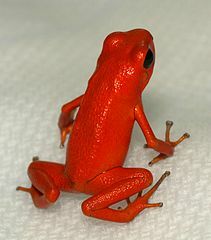 Frogs may be hardy survivors that can reach age 20, 30 or even 50, or be nearly impossible to keep alive in captivity. 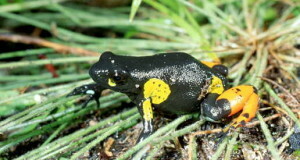 The following points, drawn from a lifetime of working with frogs and toads in the Bronx Zoo and at home, are useful to consider before embarking on your amphibian-keeping venture. Note: The terms “frog” and “toad” do not always correspond with taxonomic relationships. All toads may be correctly called “frogs”. I’ll use “frogs” when referring to both. Please post below if you have specific questions, or would like a link to an article on a certain species. Cane Toads, White’s Treefrogs and many others are often very responsive to their owners, and will readily feed from the hand (or, for the “tooth” bearing African Bullfrog and Horned Frogs, from tongs!). However, they should be picked-up only when necessary, and then with wet hands. All amphibians have extremely delicate skin, and even microscopic tears will allow harmful bacteria to enter and cause havoc. Also, the skin’s mucus covering, which has anti-microbial properties, is easily removed even during gentle handling. Well-cared-for frogs will reward you by exhibiting fascinating behaviors…but not if you disturb or injure them with unnecessary handling! An African Bullfrog can eat baby cobras, survive 9 months without food and live for over 50 years. Yet 2-3 days of soaking in a fouled water bowl can end its live. Frogs absorb water through the skin, and along with that water comes any associated pollutants. The most common of these is ammonia, which is excreted with the waste products. Most frogs are as or even more delicate than tropical fishes, since they absorb water over a greater surface area; ammonia test kits, partial water changes and strong filtration are critical to success in keeping them. Substrate needs the same attention as does water, since Horned Frogs and other land-dwellers can be poisoned by ammonia-soaked moss or soil. No frog will thrive long-term on a diet comprised solely of crickets and mealworms, even if these foods are powdered with supplements. I’ve done well by relying heavily upon wild-caught invertebrates during the warmer months. Moths, beetles, grasshoppers, tree crickets, harvestmen, earwigs, “smooth” caterpillars and a variety of others are accepted – usually far more enthusiastically than are crickets!. Please see these articles for tips on collecting insects. Useful invertebrates that you can buy include earthworms, roaches, butterworms, calciworms, silkworms, hornworms and sow bugs. Feeders should be provided a healthful diet before use. Canned grasshoppers, snails, and silkworms may be offered via feeding tongs. Please see the article linked below for further information on dietary variety. Stress is one of the most important and misunderstood concepts in herp husbandry. While some frogs will leap away when threatened, many instinctively freeze. Inexperienced owners often misinterpret the lack of vigorous protest as an “acceptance” of handling. However, be assured that your pet’s stress hormones are surging, and that this will have a deleterious effect on its immune system. Being relatively inactive, many frogs may seem blissfully unaware of terrarium size, or of what is going on outside their enclosures. However, most are quite alert, and miss nothing. It may be difficult for us to detect a problem merely by observing our pets’ behaviors. Certain species, such as White’s Treefrogs, American or Southern Toads, and African Clawed Frogs, are better-suited to busy households than are most. Ideally, the new frog owner will be interested in her or his pet for its own sake. But most of us also wish to see how it lives, what it does, and so on. Many frogs are about as active as the infamous “pet rock”…and are nocturnal to boot! If you favor an active pet, consider a small diurnal species that forages for rather than ambushes its food, and keep it in a large, naturalistic terrarium. Five Blue Dart Poison Frogs (active hunters) in a well-planted 30 gallon tank will provide you with infinitely more to observe than will an Argentine Horned Frog (ambush predator) kept in the same-sized enclosure. African Clawed and Dwarf African Clawed Frogs also tend to be quite active, especially if housed in planted aquariums and not over-fed. Allowing sow bugs, springtails and other food species to become established in the terrarium will encourage activity. Some species that tend to be active at night may adjust to daytime schedules once they settle into to their new homes. American Toads and their relatives are especially accommodating in this regards. Others, such as Green and Gold Bell Frogs, American Bullfrogs and Leopard Frogs, are ready and willing to feed round-the-clock. Red night-viewing bulbs will greatly increase your ability to observe Red-Eyed Treefrogs, Spadefoot Toads and other strictly nocturnal species. I keep Asian Floating frogs.. O. lima, I believe, though from the little I’ve read, they could be a closely related species instead. They don’t leave the water very often, and generally only when hunting. Usually ambush their crickets, but sometimes the male, well, I think it’s male, it is much smaller than the other one and they’re both about 18 months old now and as big as they will grow, anyway, the male sometimes will crawl onto the floating plants and scrabble across them to catch a cricket. Only in the past few weeks have I been successful with any tong feeding. Up to then anything in tongs would be ignored. Just lately, the female seems to recognize disturbance of the water surface as potential food and has taken a few drowned crickets I was trying to fish out. The only prey I can reliably get are crickets, which I feed as well as possible before I let the frogs have them. I dust them sometimes. I worry about overdosing with supplements, but also about lack of variety in diet. I hope to catch some earthworms and try those, as the female, particularly, is willing to take food from tongs. Both frogs are avid hunters, but the female is a bit of a clutz and often knocks her cricket into the water when she lunges at it, and sometimes they drown before she finds them. I have learned that neither of them will eat anything that’s floating motionless, or is below water level. There are some tiny Rice fish in their tank, which they ignore, as well as a number of large snail species. They have a filter, and thick floating plant cover, planted plants in the substrate and a cork raft they can crawl on, but they ignore it. They seem to have become used to my presence and rarely show a startle response now when I open the tank top to feed them or walk by, or even plant plants or change water for them. The first 8 months I had them, they dove for the bottom every time they caught sight of me. It’s very hard to find information on these frogs. Unlike most other pet frogs, they don’t need land. They mostly float, but sometimes spend time on the bottom as well. They seem to swallow air, I assume to help them float, and I have seen what I think was mating behaviour once. The male grabbed the female from the back and hung onto her with his front legs for a long time. No eggs or tads though. I hope they might give me some one day. I have tried mealworms, but they don’t move enough to trigger the frogs hunting instinct. Any suggestions for insects that would be similar to crickets in the way they move would be great. As an apartment dweller, it’s quite hard to catch alternate or ‘wild’ bugs, and I’d be afraid to feed them the roaches that infest the kitchen, given the poisons put out to control them. I’d worry about toxicity if the roach had eaten any bait. Would they be likely to go for fruit flies ? I can culture those, have done for fish, but they seem too small to attract these frogs. Despite their long periods of inactivity, they’re interesting critters. Really very attractive, with markings that differ on each one on the back, and the undersides almost look like they’re covered in sequins or beads, very shiny in light. When they float, all you can see above water are the pair of beady eyes, which are smack on top of the head. The rest is under water.. it’s nice having them in a tank so I can observe them from below as well. The one I think is female is quite robust, triangluar shape body, longer hind legs, and the male is simply much smaller and less robust in the body. Be very interested to learn what their life span might be, there’s no info on that I can find. Very much enjoy the articles you post ! Thanks for the kind words…very interesting frogs you are keeping. Have you experimented with keeping snowy tree crickets in captivity? Some looking in the literature shows that some researchers have reared nymphs in petri dishes and fed them aphids. They are quite beautiful and interesting creatures in their own right. I managed to spotlight a couple males recently-have yet to find any females to play with. I’m in Canada, actually. I’ve seen ads for the Dubia roaches and next time it rains I’ll catch some earth worms. There are bait worms, but the ones I’ve seen at local tackle stores look much too large, even given that the frogs have a fairly big mouth for their size. Sowbugs or pillbugs I may be able to get from my friend’s garden, she never uses any sort of pesticides or other chemicals. Silkworms are pretty big too.. the female frog is, at most, 1 & 1/8 ” long in the body.. she’s almost as wide as she is long. The male is barely an inch long.. not counting legs of course. He has a commensurately smaller mouth, so he has problems with crickets much past 5/8″ size. Didn’t know there was such a thing as a flightless house fly. I’ve cultured fruit flies, so if I could get a starter I could culture the houseflies I’m sure. Do you know of any sources ? It’s a bit difficult importing some feeder critters from the US, unfortunately. What’s available here is not bad, but not always so easy to get hold of. Here’s some housefly info, but US based I believe. Try a Canadian biological supply company…they were originally developed for genetic and related research,pet trade use is minimal. One of the larger US companies, i.e. Carolina Biological or Ward’s, may be able to refer you to a Canadian resource if they do not ship. Smaller earthworms are usually sold as red wigglers or angle worms…they remain mobile aftyer being cut into smaller sections, and are easy to breed as well (please see here). The silkworm suppliers I’ve used generally offer 4-5 sizes, some very small, but I’ve not checked Canadian sources. This article on foods for smaller amphibs may be useful; I find that sweeping through tall grass with a net provides the most variety and quantity, but you need to check for stinging etc species. I recently ran across your blog on a frantic bout of research. About a week ago, I took them for their first vet appointment to get a wellness exam since I am moving four hours away to go to school in about a month. Squid checked out fine, but the vet told me to give Turtle daily Nolvasan (at a 1:6 ratio) soaks for 5 min because of some redness on the ventral side of his legs and belly. I mentioned to her that Turtle has always tended to “run darker”. He has actually been that way from when I first got him to now. She said to treat him to be sure. The first couple days of treatment seemed to be fine. I would put him in the solution, he would try to escape, then I would give him a “rinse” in a fresh bowl of dechlorinated water. He was a bit stressed, but ate after each treatment and would go back to his “branch” to chill out for the day. I did notice his ventral side getting somewhat less dark, but only by a shade. Day 4 I put him through our little routine, but found him hanging out on a rock instead of going to his branch spot. Day 5 my sister gave him his soak, and said he was fine, but didn’t accurately measure the Nolvasan and water, and I am unsure of whether she gave him a “rinse” or not. Day 6 I come back and notice significantly increased redness and what look to be open sores on the legs and belly. I called the vet, but she won’t be in till Thursday, and the office people told me to give him a soak in warm water. Meanwhile, Turtle is super stressed and currently in “isolation”. His holding tank is as close to sterilized as I can get it, with fresh water and a hiding place. Today, I go to check on him and he is frantically trying to escape, and I noticed he is having a harder time climbing. My assumption is that the sore area must be painful to apply pressure to. I spent an hour deciding on if I should continue the baths and decided to do a half dose and a long rinse just to ensure a lowered risk of infection. I cleaned his isolation tank, changed the water, and tried to feed him, but he won’t eat from the tongs like he normally does, so I just put a cricket and a worm in his tank with him. Are there any thoughts you can share on what I should do next or what I have done wrong that I can fix? Do you have any experienced herp vets in the Chicagoland area you can refer me to? Thank you so much. I just found one about 15min away, and I’m going to see if they can squeeze Turtle in sometime tomorrow.